There's a few things every first-timer to egypt has to do - riding a camel is one of them! 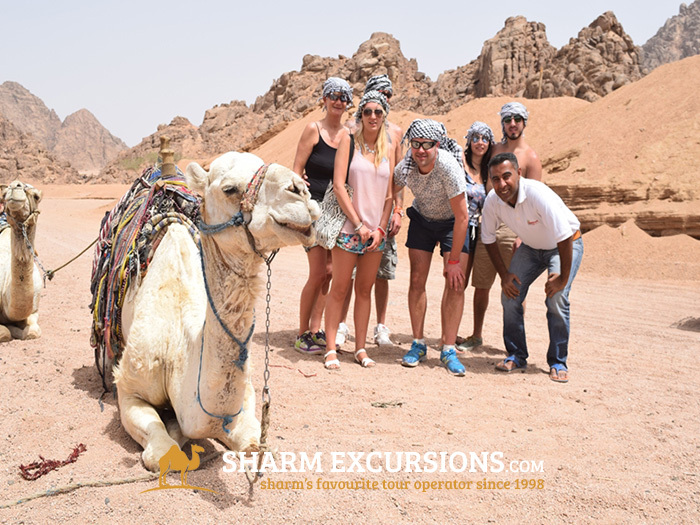 This fantastic tour takes you to the beautiful deserts surrounding Sharm El Sheikh to ride the bus of the desert and drink tea with the Bedouins! Riding a camel is a must for first-timers in Egypt, what they lack in comfort, they make up for in character and fun! These animals have been used to cross these deserts for thousands of years due to their disciplined nature and famous toughness. We'll pick you up from your hotel in Sharm and travel approximately 15 minutes into the deserts that surround Sharm El Sheikh. 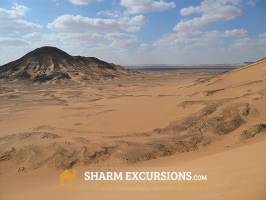 These beautiful plains have managed to stay untouched by the expanding resort of Sharm and look exactly as they have done for thousands of years - still inhabited by the same local Bedouin tribes who will open their huts to you for the day to show you some of their culture and ways. 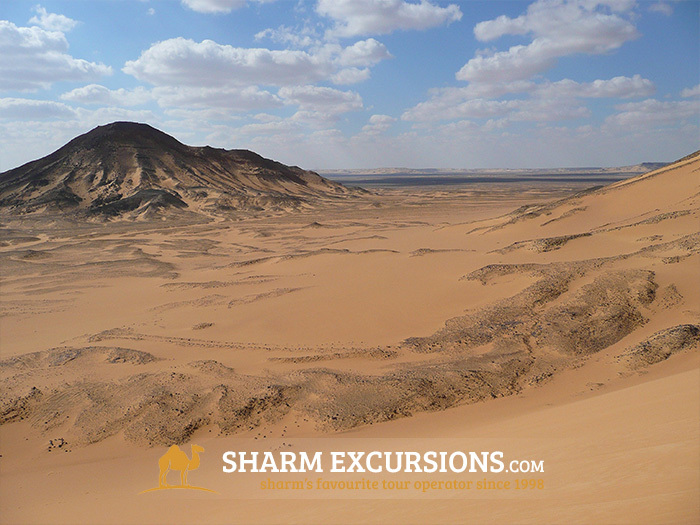 Your guide will help you onto your camel and guide you through the desert, up and down small dunes to really let you experience what it's like to travel across a desert by camel - hold on because it's going to be a bumpy ride! 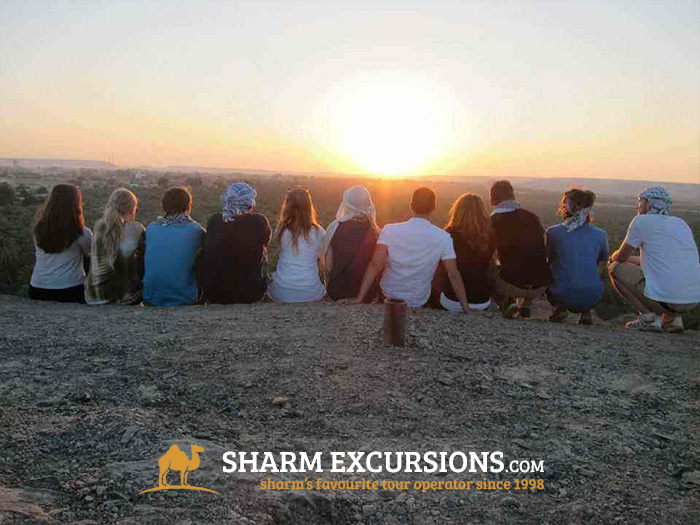 After your camel ride you'll say goodbye to your trusty camel and sit down in an authentic Bedouin tent for a rest and some delicious tea - the Egyptian way! 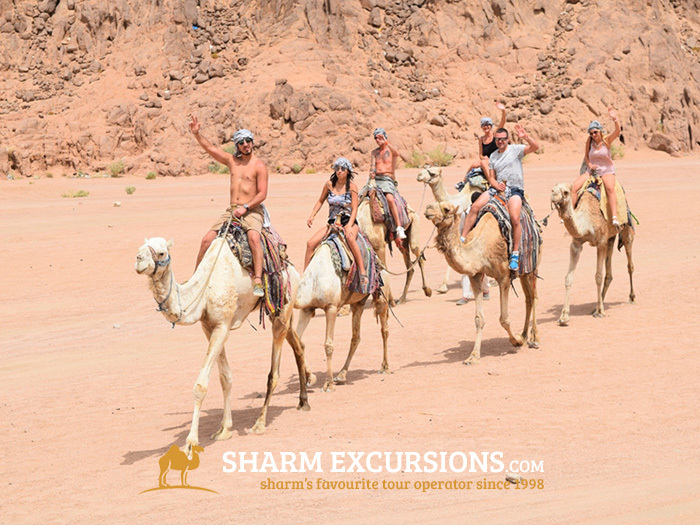 This is a great experience and a great way to do something a little different for an afternoon on your holiday to Sharm. 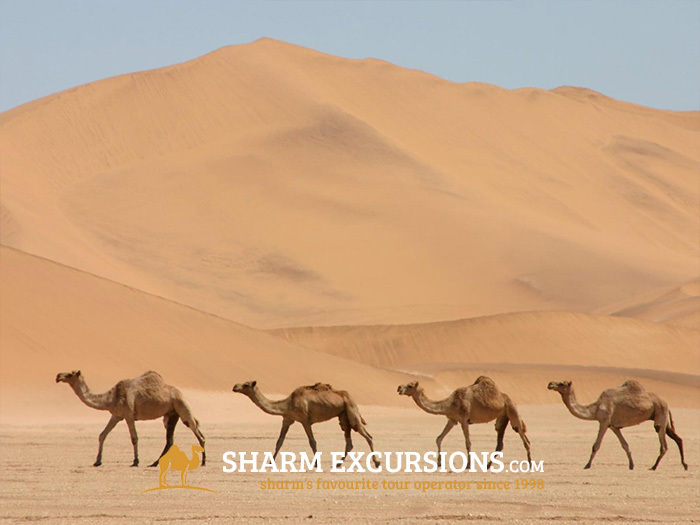 At the end of your Camel Riding Tour, as with all of our tours, we'll transfer you back to your hotel in an air conditioned minibus. We love our camels, and don't like giving them much hard work! 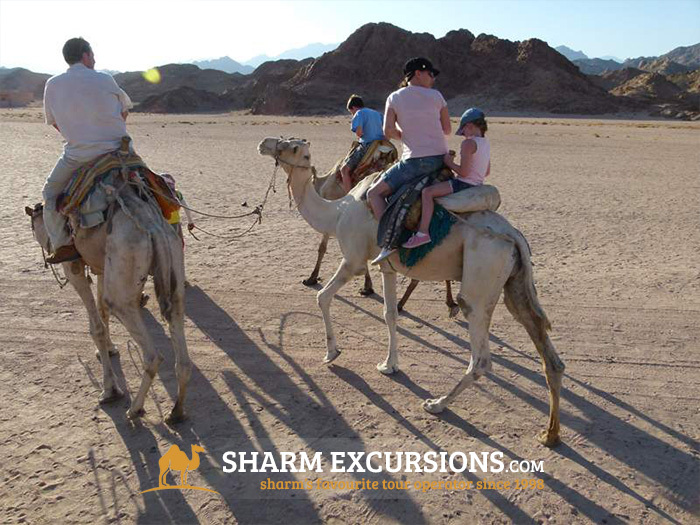 So we only allow 1 adult per camel, however an adult can take a child (between 2 - 12) on the back with them for free. This was first time on a camel and was a little scary as my camel kept lifting his leg up to scratch his head and I felt I was going to fall off but didn't. It was such fun and I really enjoyed it. You ride for half hr and at the end of it climb a mini mountain to the top to see the sunset but unfortunately we climbed up too late and missed it. Climbing the mountain is tiring and I don't think suitable for people with walking difficulty. We finished our trip with tea with the bedouin and an attempt to roll out their bread which they cooked and let you have a piece. Would have been nice if we could have ridden the camel back instead of going on bus. 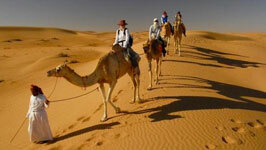 Ps take some small change for tipping your camel leader who has to walk with your camel. Sharm Excursions were excellent my daughter and I were picked up in a private car by a driver and our guide Heesan, we had a fantastic evening firstly riding camels then making Beduin bread, drinking tea and a delicous buffet whilst watching a belly dancer and traditional show. Heesan was was very attentive and informative he answered many questions about the beduin culture and Egptian traditions and never left our side. We were joined by an arabian family of 5 who sat with us all evening and my daughter was suprised with a lovely birthday cake for 30 something birthday.Finally we viewed stars in the dessert with the help of a very informative young astrologer and Jupiter and the moon through a telescope, all other trips seemed to be of 25+ people ours seemed very exclusive. Heesan was a superb guide we would like to Thank him. Trisha and Cheryl. 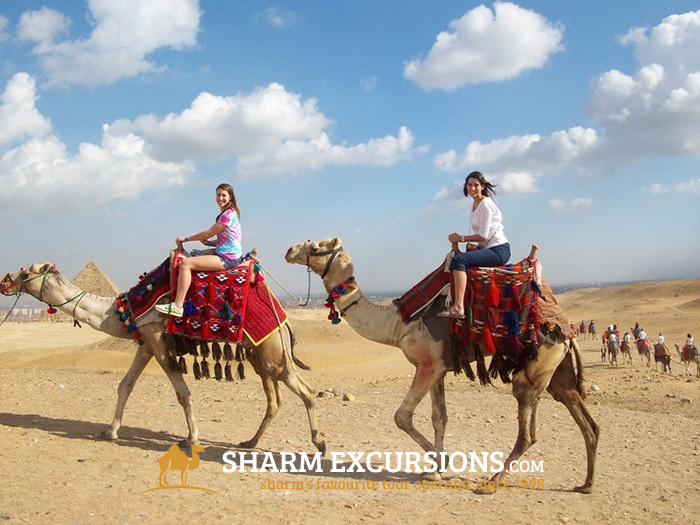 My boyfriend and I loved this excursions-it was our favourite of the holiday.Riding a camel was so cool, if not a little scary.We was met on time(as usual)by our guide 'H' who was lovely. We were chauffered to a dessert to embark on our ride. Small children guide the camels and tips are expected so make sure you take some small notes to give them. We then met the bedoiun people who live in the desert. They were so hospitable and allowed us to try their tea and bread and shisha. As the sun set we climbed a small mountain and could watch the sun set on the desert. It was beautiful and a definite must do!! 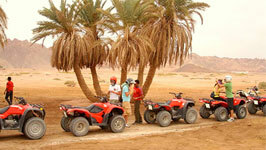 Accompanied by Hisham & Mido this excursion was a pleasure, although a more comfortable camel would have been a bonus. 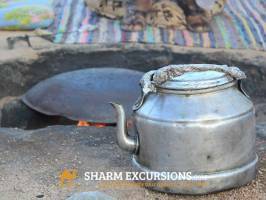 The Bedouin tea was excellent and the opportunity to make bread the native way a real insight. The trip was topped off with the opportunity to watch the sun set over the mountains, and if you don't dfeel up to climbing Mt Sinai for the sunrise, this is the next best thing. 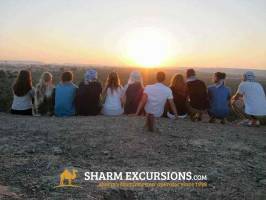 I booked 3 excursions with this company and I can tell you I was not disappointed.This was my first time in Egypt and I was so glad that I used this company. There were 3 adults and 1 child aged 5 on my trip. I was collected from my hotel on time by the lovely Essam from Sharm Excrsions and driven in a lovely car and he offered us refreshments during the car journey. he was very professional as well as helping us enjoy our trips. He took photos for us and nothing was to much bother for him. He was really helpful form start to finish. 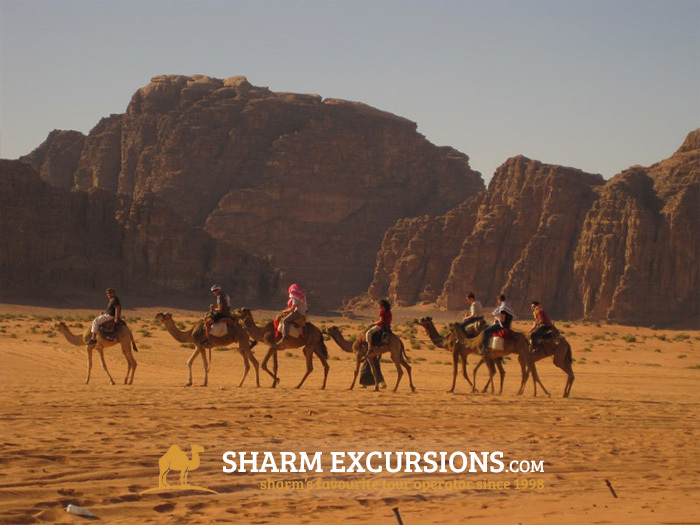 When we went on the camel ride and had Bedouin tea I was so glad that I did not book my excursions with my holiday company because they were driven there in a big coach and there was a long queue of people waiting for the camel ride. 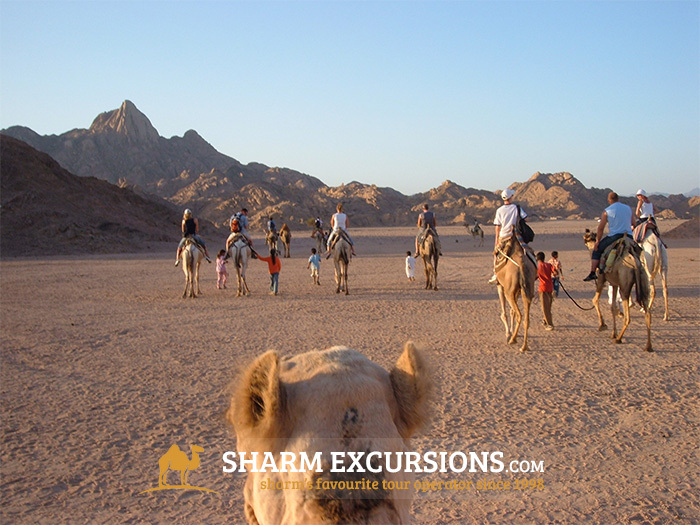 We had a very personal experience and did not have to queue for the ride and in fact we were given our own private ride on the camels just the 4 of us in our group and tea with the local man and they even taught us how to make bread. We had the best day ever. It was also cheaper than my travel company. So thankyou Essam and Sharm Excursions for making our holiday so wonderful we shall see you next year when we come back. I will admit to being a bit wary of booking with this company as we had been advised by our travel company to book everything with them. On the plus side all elements of the trip I did were fantastic. 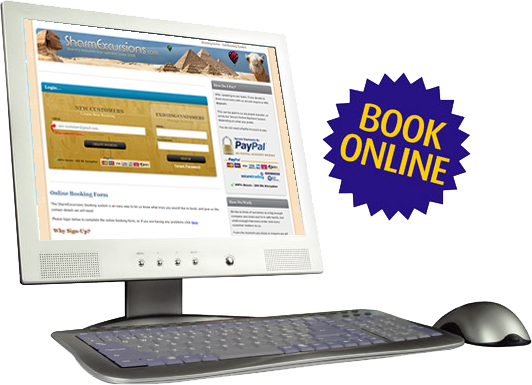 I had constant emails about the trip after enquiring and booking. We were met in the morning by who I think was Mohamed ( Sorry I don't think I got your name!) who took our money and then confirmed details about the trip in the afternoon. First we were picked up and driven to the desert where we met the Bedouin Men and rode a camel. After we went to their tent and taught how to make their bread and drink their local tea. 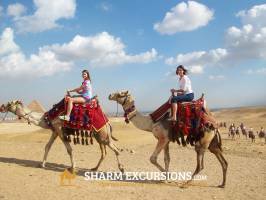 It was a great experience to see how Egyptians really live. Our guide then walked us up to the top of the mountains to watch the sunset. The couple of hours that we spent on this trip were fantastic and definately worth the money. We did this trip on my birthday and will definately be a memorable one! Many thanks for everything! 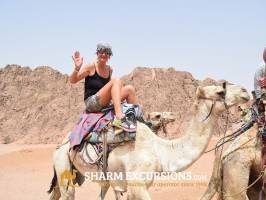 This is just the last 7 customer reviews written for Camel Ride & Bedouin Tea in Sharm, if you want to see them all please click below. Don't worry it will open a pop-up and not take you off this page. I have recently booked 2 excursions one on a glass bottomed boat and the boudin dinner. Do I need to obtain visas for these trips. 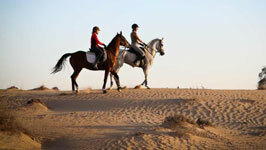 NO for these 2 excursions you do not need to get the Egyptian Visa . 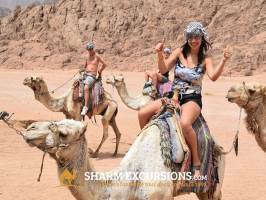 I would like to book the camel ride and Bedouin tea for 3 people on 7th September at 4pm. 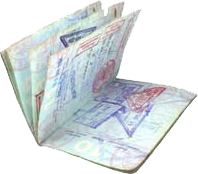 I am a little concerned why I have to provide my passport details as I do not like providing this information over the internet. Is it possible to book this tour without providing my passport details? 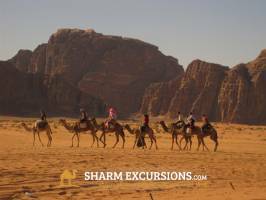 We only need passport numbers on flight excursions and the tour to Petra, all other excursions do not require you to give passport numbers.